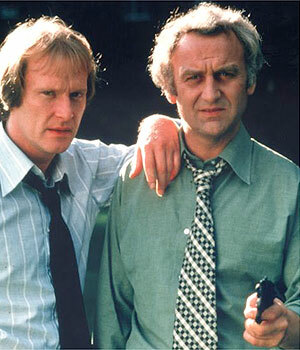 The Sweeney was a very popular and often critisised TV program from the 1970’s which followed the sometimes unorthodox procedures of the London’s Metropolitan Police Flying Squad,created to tackle violent crime and criminals any way they can. The TV series ran from 1974-78 and was so successful that two spin-off movies were produced and are now released remastered onto Blu ray from Network. In the first film Jack Regan (John Thaw) becomes embroiled in a political plot when an old friend asks him to investigate a seemingly suspicious death. Framed on a drink-driving charge and suspended from the force, Regan is embroiled in a deadly conspiracy and must think fast and rely on his wits if he’s to survive! Much more gritty than the TV series, this got an X certificate when released to cinema’s, it is fast-paced with great London location footage to give it a feel of authenticity. While he knows the system and red tape is against him he goes beyond the law to see justice is served. 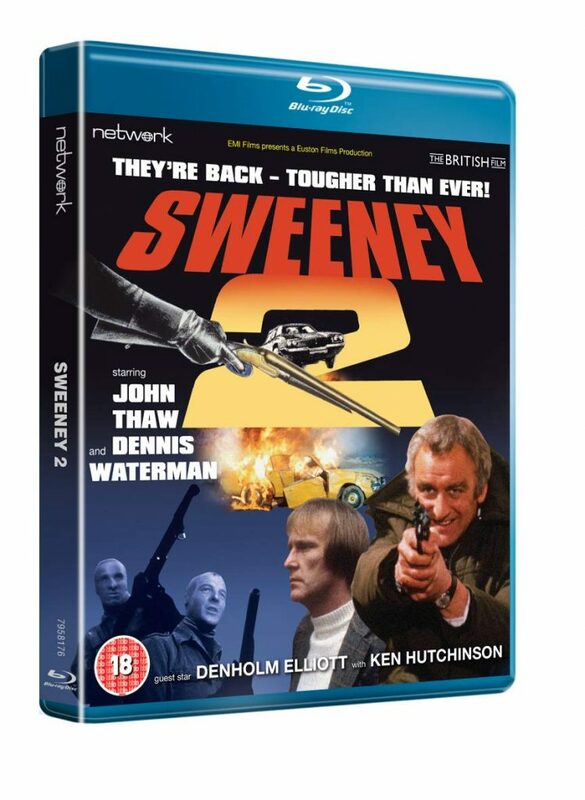 Sweeney 2 is the better of the two and has a vicious gang of bank robbers creating havoc on the London streets. Efficient and ruthless and with Regan and Carter (Dennis Waterman) in hot pursuit they leave a trail of dead bodies and smashed cars in their wake. Both have to have all their wits about them to get these crooks to justice once and for all. Viewed today, both films seem very politically incorrect but just as enjoyable and are helped by a great cast of supporting players familiar to viewers of film and TV of the time, such as Denholm Elliot, Diane Keen, Ken Hutchison and Barry Foster. The new Blu ray releases have superb remastered picture quality, probably even better than the original cinema showings back in the ’70s. Colours are vibrante, film grain intact and black levels solid with no trace of film damage or debris. Audio is original mono but sounds fine and clear. Extras are dissapointing just trailers for both film. Nice touch is having the original BBFC certificate before each film. Recommended and fans will be delighted with the quality of the remaster.